Rasht; the best city to enjoy local cuisine, located in the northern part of Iran is number one in gastronomy in the country. Throughout generations, Rasht cooking and cuisine has not only carried on ancient recipes but also unique cooking utensils and methods. In this article, we are going to talk about the history, location, and climate of Rasht, in addition, the best places to see, and of course some of the best dishes you can enjoy in the city when you travel to Rasht. According to the historical documents, Rasht was first mentioned in 682 CE, however, it is believed that the city was established in Sassanid era, but nothing special was written about the city till the 18th century. The city was destroyed by an earthquake in 1714 and later was occupied by the Russians from 1722 till 1732 due to the Russo-Persian War. During the Safavid era, Rasht was a major silk trade center with numerous textile workshops. 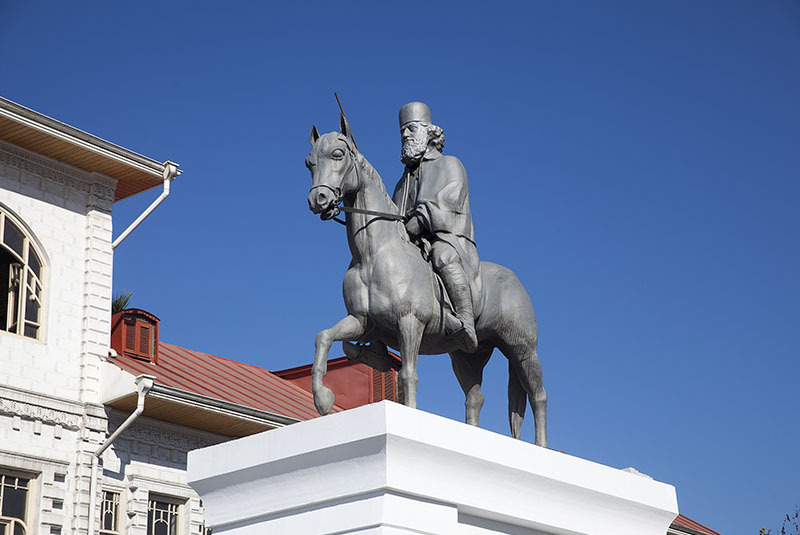 Mirza Kuchak Khan Jangali who was one of the leading figures of the Persian Constitutional Revolution (1905 – 1907) was born in Rasht and therefore people of Rasht played a prominent role in the Persian Constitutional Revolution. Mirza established the short-lived Persian Socialist Soviet Republic in 1920 after the defeat of the constitutional forces and in coalition with Iranian communists. During Qajar Dynasty, the first national library of the country was established in Rasht, later the first modern newspaper of Iran called “Nasim-e Shomal” (Breeze of North) was published in Rasht. In addition, Sepah Bank (the First Iranian Bank) opened its first branch in Rasht. The first branch of a 24/7 pharmacy (Karoon Pharmacy), the first school for girls, and also first fire station were all built in Rasht. Rasht is located in the northern part of Iran in Gilan Province, about 325 kilometers far from Tehran. The city is the largest and most populous coastal city on Iran’s Caspian Sea. It covers an area of 180 km2 (70 mile2). Rasht has a Mediterranean climate with an average sunshine hour of 1,520 hours per year. It has warm and humid summers and cool winters. The best time of year to visit Rasht is from early April to early July, and also from mid-September to mid-November. According to the 2016 census, the city has a population of around 700,000 inhabitants. People living in Rasht as part of Gilan Province are called Gilak, or Gilaki. The Gilaki language is the main language spoken amongst the Gilaki people, although various regional and local dialects of the Gilaki language are common. It can be said that Rasht has the best nightlife in the country, and people enjoy their time from the evening till midnight in the main streets and squares of Rasht. Shahrdari square, the Bazaar with local fish and fresh herbs, Shapour School, Safi Mosque, and Dome of Pir Mahaleh are the places you can visit in the city. In addition to these places, in only two kilometers outside the city, you can find the Gilan Rural Heritage Museum in which many traditional cottages from all over the province of Gilan have been reassembled. Rasht is also an access point to Masuleh village, Qa’leh Rudkhan, and Fuman. Masuleh is a beautiful village with a one and a half hour drive away from Rasht. What makes Masuleh so popular and unique is its magnificent architecture, in which yard of the building above is the roof of the building below. 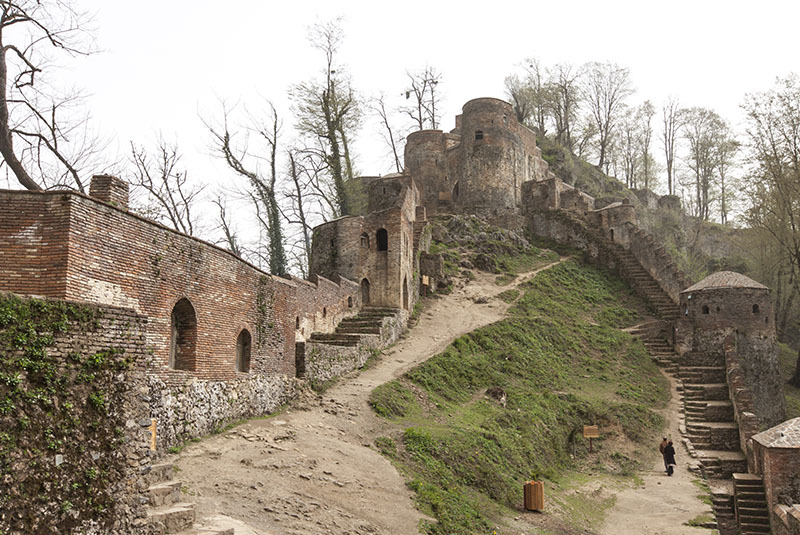 Ql’aleh Rudkhan or Rudkhan Castle is a medieval military fortress whose origins predate the rise of Islam in Iran. It is believed that the history of the castle goes back to the Sassanid era, between A.D. 224 and 651. The castle also is known as “Castle of a Thousand Steps”. Fuman is another village about 21 kilometers to the west-southwest of Rasht. 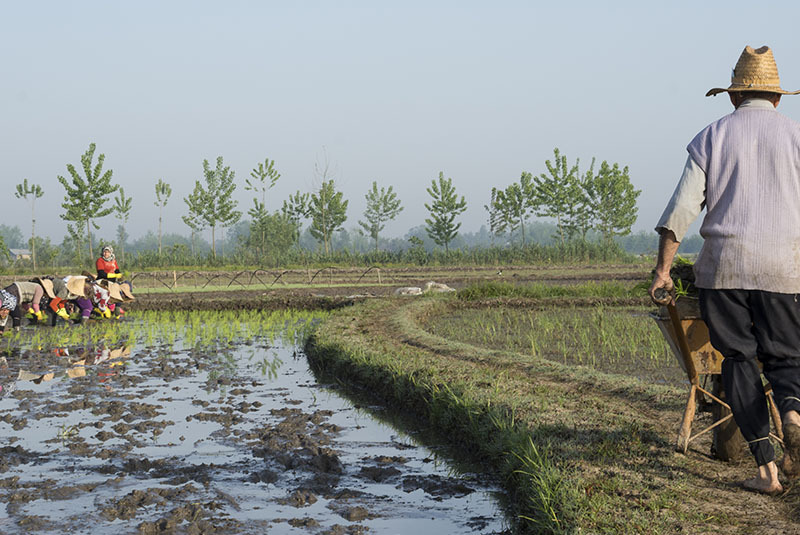 The village is mostly popular for some of the best and delicious koluche and rice cultivation. There is also the status of the ancient Iranian goddess Anahita and the statue of the Four Girls around the village. Rasht was added to the list of “Creative Cities Network” of UNESCO in 2015 as the creative city of gastronomy. 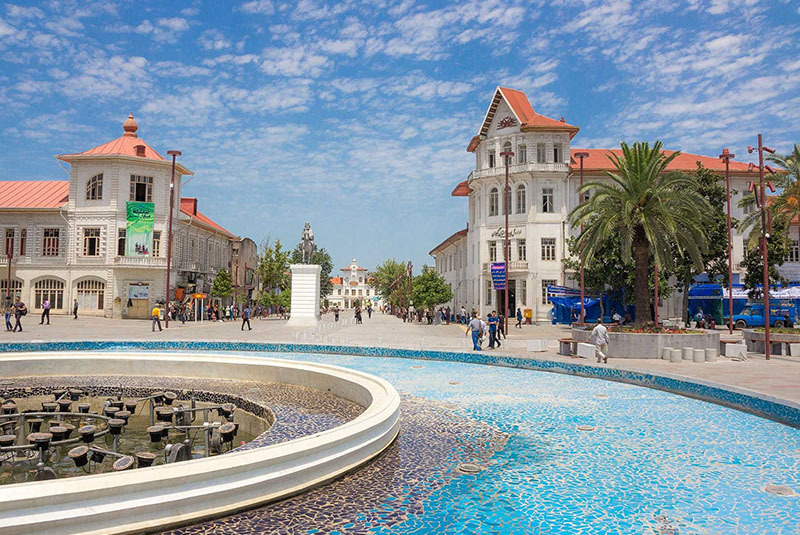 Rasht is now among 47 cities from 33 countries that are part of the network in seven creative fields – crafts and folk art, design, film, gastronomy, literature, media arts, and music. The city boasts over 170 recipes. The garlic-stoked, vegetable-rich Gilan cuisines include Mirza Ghasemi, Torshi Tareh, Anar-Bij, Sir-Qelyeh, Baqali-Qatoq, and Kal Kabab. Rasht is actually a heaven for vegetarian people as most of the local cuisine is cooked with fresh herbs and vegetables, without meat. In the following, we are going to introduce these delicious dishes, especially their ingredients. Mirza Ghasemi is actually a mixture of barbequed eggplant with tomato, and egg. Serves with bread, and it is a good choice for vegetarian. Torshi Tareh is a heavy soup with cooked herbs, different types of beans, onion, and garlic. In some places, people add eggs to the recipe. Anar-Bij is a type of stew, very similar to Fesenjan, but it is sourer, with additional fragrant herbs, and pomegranate. Sir-Qelyeh is cooked chicken with added beans, garlic, and fragrant herbs. 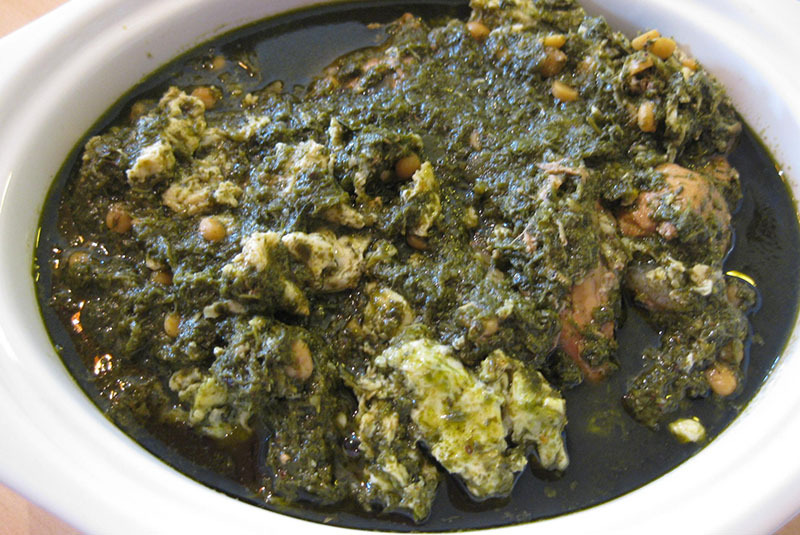 Baghala Ghatogh is a mixture of cooked Rashti fava beans, egg, and dill. Kal Kabab is a mixture of roasted eggplant and crushed walnut with garlic and Sour Pomegranate seeds. All these dishes usually serve with Kateh (cooked rice), and fresh herbs. So, if you have any plan to visit Rasht or nearby cities, don’t forget to treat yourself with these delicious local cuisines.